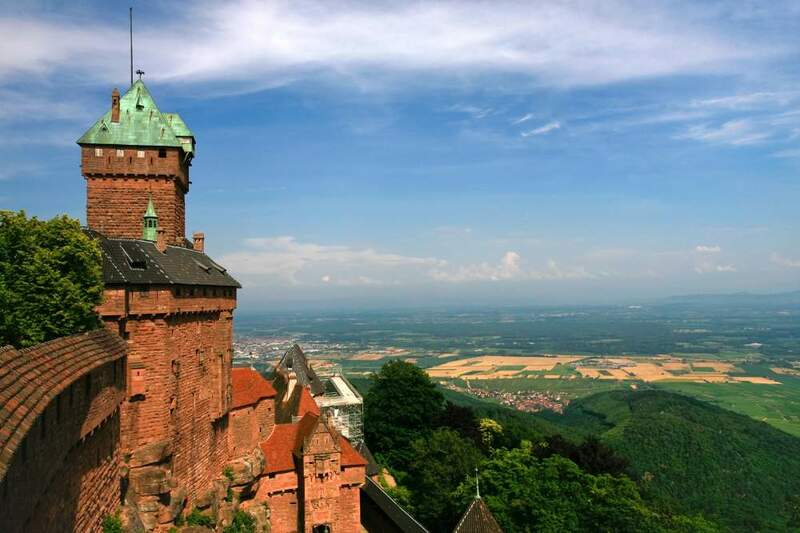 This fortress, perched on the mountain relief of the Vosges, towers above the Alsace Plain over which it was originally designed to keep watch. Built in the 12th century, the castle has had a turbulent history, pillaged and torched more than once. In the 19th century, Kaiser Wilhelm II decided to restore it to its former splendour, launching a major rehabilitation project that allows us to witness today what daily life might have been like in a mediaeval fortress.